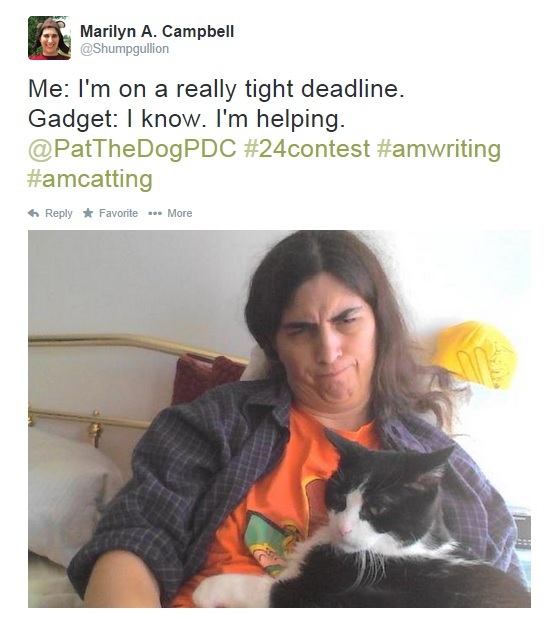 This weekend I took part in Pat the Dog Theatre Creation's annual 24-Hour Playwriting Contest. At 4 pm on Friday Pat the Dog sent out three prompt words that had to be included in the script and the 30 of us who pre-registered had 24 hours to write and submit a new play. This year's words were tattoo, dig, and butter. I've read interviews with playwrights who enter these contests with a pretty solidly formed idea of what they're going to write about and then find a way to work the words in. I always do the exact opposite, not giving any thought to my play until the moment those words hit my inbox. On the one hand, that means I always end up with a fairly short one-act, but it also means it's a one-act that I never would have created otherwise. Not surprisingly, my super-short, unplanned plays have never placed in the various time-based contests I've entered, but participation has paid off in other ways. The 2011 Pat the Dog Contest led to the first draft of Flood Control, which was produced two years later. That first draft was expanded on, but retains the prompt words at its core - shift, perpendicular, and water. Right now, I'm re-writing a Theatre for Young Audiences play that I wrote for a Toronto Fringe Festival 24-Hour Contest which, again, I never would have thought of without those prompts. While it's nice to have complete creative freedom, I find it very useful to see what happens when there are restrictions on both content and time. I'm sure the play I wrote yesterday won't show up in tomorrow's announcement of the winners, but I think there's a good chance a revision of it will show up on a stage somewhere someday, which is, of course, the ultimate goal. Interested in giving a 24-Hour Playwriting Contest a go? The Toronto Fringe generally holds theirs during the summer festival (July 2-13 this year); check the website for updates. And Pat the Dog's should run again next fall.